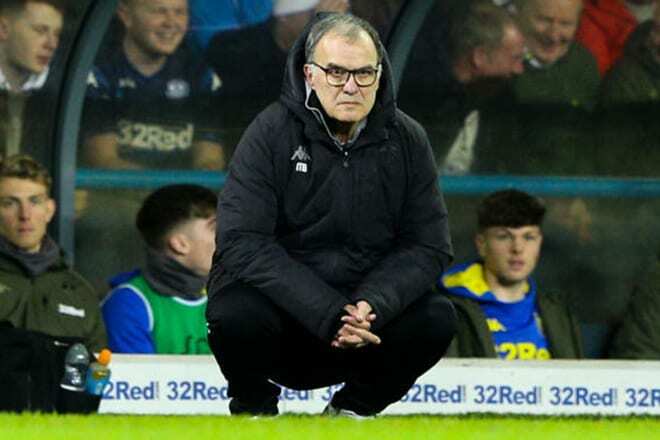 Spygate – Leeds manager Marcelo Bielsa a man who pays attention to the small details, to say the least. So much so, that he has sent a member staff to watch every training sessions of ‘every team’ Leeds have faced this season. Some are calling for Leeds, who are one of the favourites to secure promotion to the Premier League next season, to be docked points. Others, like Jamie Carragher and Gary Lineker, have strengthened their likening for the storied Argentine coach and his covert tactics. There were even suggestions that Bielsa could be forced to resign. But what exactly is spygate and how does Bielsa spy on his opponents? PlugsvilleSport breaks down everything you need to know. Prior to facing Frank Lampard’s side, the police were called to the Derby’s training ground a day before the fixture following reports of ‘a man equipped with binoculars, wire cutters and camoflauge clothing hovering suspiciously on its boundaries’, according to The Guardian. “I don’t think that, at any level of sport, it’s right to send men to break into private property,” says the Chelsea legend, continuing with:”I’d rather not coach than send people undercover on their hands and knees in the undergrowth”. The term ‘spygate’ reads more like an MI6-scandal than a football headline, but that word began seeping into various parts of the media and the discussion around whether Bielsa broke any rules with his covert antics expanded. To clarify, it is not illegal for one club to position a member of staff close to another team’s training ground. If they had broken into or trespassed on private property, it would be a different issue. But there is essentially no difference between a keen fan standing outside the training ground and making notes and a professional coach occupying the same plot of public property working his ways through the x’s and o’s. On Wednesday 16 January 2019, Bielsa held a 70-minute long press conference to address his covert antics, brazenly stating that he carries out such research on every team he faces. So much so, that he watched 26 Luton games just to get the lowdown of Nathan Jones, who recently moved to Stoke, the team Leeds face this coming weekend. How does Bielsa spy on his opponents? “I already said I was the only one responsible for this situation. The club is not responsible whatsoever and nobody on my staff is responsible for it”.